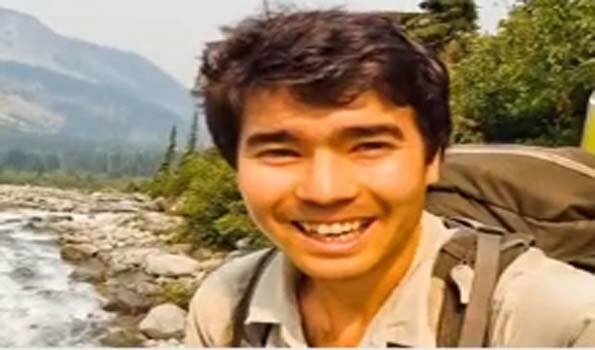 Port Blair: International pressure is mounting on Andaman and Nicobar Administration to call of efforts to retrieve body of John Allen Chau from North Sentinel Island. In a joint statement Pankaj Sekhsaria, Member, Kalpavriksh and author, 'Islands in Flux the Andaman and Nicobar Story; Vishvajit Pandya, Anthropologist and Author, Manish Chandi,Senior Researcher, Andaman and Nicobar Environment Team, Zubair Ahmed, Editor, Light of Andamans, Port Blair, Denis Giles, Editor, Andaman Chronicle, Port Blair, Madhusree Mukerjee, Researcher, Activist and Author and Sita Venkateshwar, Anthropologist and Author today said that note with concern and distress the continued efforts of the A&N administration to retrieve the body of John Allen Chau from the island of North Sentinel. The media has reported nervous stand-offs between the teams seeking to land on North Sentinel to get the body and members of the Sentinelese community who clearly find these incursions unwelcome. Continuing with the efforts could well lead to further violence and completely unwarranted loss of life. The rights and the desires of theSentinelese need to be respected and nothing is to be achieved by escalating the conflict and tension, and worse, to creating a situation where more harm is caused,? the Joint Statement said. The Statement added that they are not aware of the pressures under which the Central Government and the A&N Administration is pursuing the efforts for the retrieval of the body, but would urge the authorities concerned to immediately call off these efforts.Meanwhile, Survival International has also urged ?no recovery? of body in Sentinelese case. Survival International's Director Stephen Corry today issued a statement which says ? We urge the Indian authorities to abandon efforts to recover John Allen Chau's body. Any such attempt is incredibly dangerous, both for the Indian officials, but also for the Sentinelese, who face being wiped out if any outside diseases are introduced. The risk of a deadly epidemic of flu, measles or other outside disease is very real, and increases with every such contact.